More Albertans are working and job opportunities are growing, with more than 58,900 jobs created in the past year. Alberta continues to have the highest employment rate in the country and the highest weekly earnings, while paying the lowest taxes in Canada. On average, Albertans pay $11 billion less in taxes a year compared to the next lowest-taxed jurisdiction. Alberta’s economy also continued to diversify this year with food and chemical manufacturing being strong contributors to the economy. Recent expansions saw food manufacturing shipments grow to record levels in 2018, with payroll employment in this sector expanding more than nine per cent this year. Chemical manufacturing also saw solid growth with real GDP growing to nearly eight per cent per year since 2014. This strong growth in food and chemical manufacturing, along with gains in other categories like machinery, metals and non-metallic minerals, pushed non-energy exports to a new record high in October, and up 12 per cent overall in 2018. Alberta’s tax credit programs continue to support growth across sectors. The Alberta Investor Tax Credit program has helped foster a more diversified economy by encouraging investments in non-traditional sectors. More than $28 million in tax credits have been approved to date, supporting more than 200 businesses and $94 million in investments. 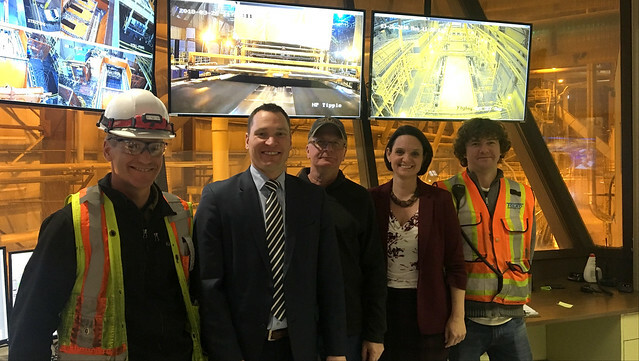 Overall, the Alberta Investor Tax Credit program is expected to create up to 4,000 jobs over the life of the program. Registration for this program is ongoing. Likewise, the Capital Investment Tax Credit program has seen significant uptake. Tax credits from the first three rounds are expected to support nearly 3,000 direct jobs and more than 12,000 indirect jobs, with companies investing more than $2 billion to build or upgrade their facilities. The next intake will be in January 2019. Two new tax credit programs were introduced in 2018. The Interactive Digital Media tax credit will support growth in the interactive digital media industry, encourage corporations to stay in Alberta and attract talented tech entrepreneurs to the province. Alberta’s interactive digital media industry offers significant growth potential and already contributes up to $80 million towards Alberta’s annual GDP. The Interactive Digital Media tax credit program is open for applications until Jan. 31, 2019, The Community Economic Development Corporation tax credit will support Alberta investors and businesses working together to advance rural economic development and social impact initiatives in their communities. Registration for the Community Economic Development Corporation tax credit is ongoing. According to Statistics Canada’s latest Labour Force Survey, the number of employed people in Alberta has increased by 112,100 since falling to a recession low in June 2016. In November 2018, Alberta employment reached a record level of 2,358,900. After reaching a recession high of 9.0 per cent in November 2016, Alberta’s unemployment rate has dropped to 6.3 per cent in November 2018. During the first nine months of 2018, average weekly earnings (including overtime) rose 2.7 per cent to $1,149 (after rising only 1.0% in 2017). Alberta exported $98.7 billion worth of goods in the first 10 months of 2018, up 18 per cent from 2017. In the first 10 months of 2018, oil production reached 548,000 cubic metres per day, up 10.2 per cent from 2017. In August 2018, Alberta recorded the highest levels of oil production in the province’s history, reaching 593,000 cubic metres per day. In the first 10 months of 2018, manufacturing sales reached $64 billion, up 9.2 per cent from the same time period in 2017. Almost all sectors have seen their sales increase during this time period, with the largest gains registered in the petroleum refining sector, which grew 23.6 per cent, year to date, to $16 billion. Manufacturing in the petroleum refining sector reached $1.9 billion in October 2018, the highest level recorded since October 2014.